Last week, our team was on location hosting a booth at Reifen Messe in Essen, Germany. Reifen is the world’s largest trade fair for tires, featuring exhibitors from 43 countries and a variety of solutions for the tire industry, which provided a great multicultural experience for visitors and exhibitors alike. 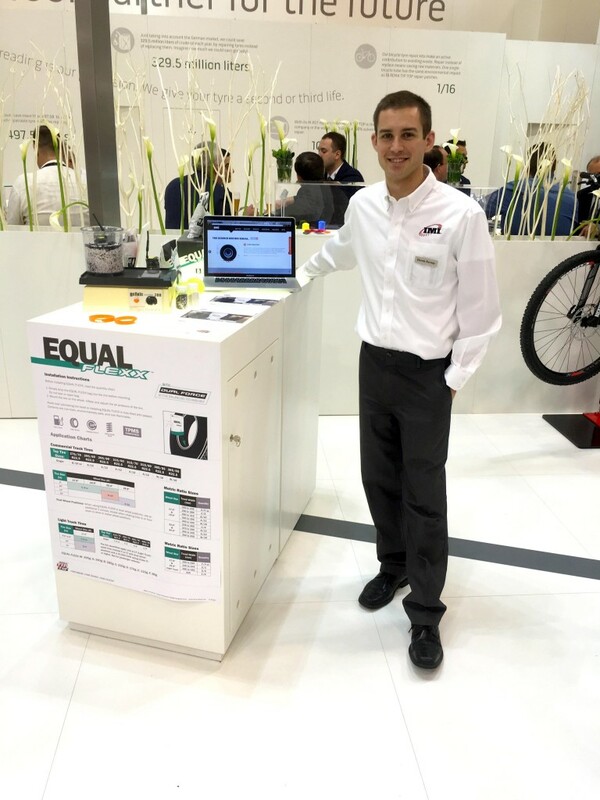 We hosted a booth in Hall 1 and featured our sealant solutions, EQUAL samples, and the new EQUAL FLEXX balancing compound. The display case for EQUAL, EQUAL FLEXX, and IMI Sealant incorporated various products into the IMI booth at Reifen 2016. 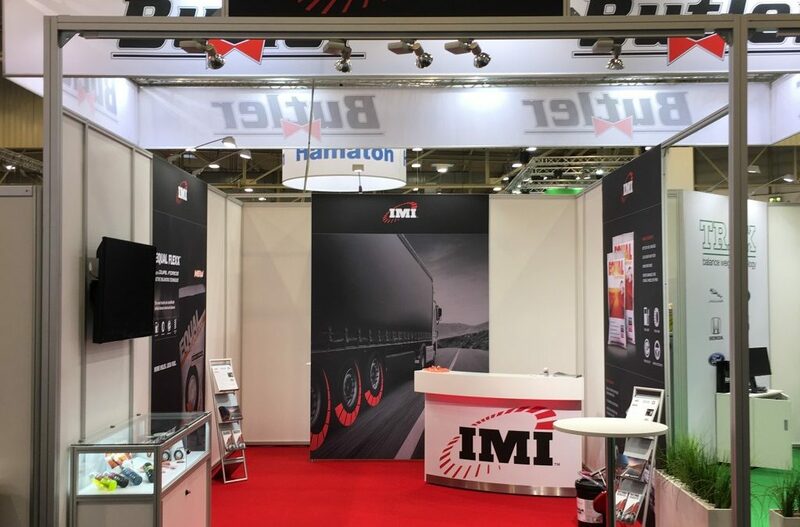 Our IMI team for this international show was led by Stefan Klopfer, Managing Director of IMI’s GmbH and Ignacio Vega, Latin American Sales Director. Reifen Messe – REMA Display, with Associate Product Manager Derek Forney. The show ran four days and was extremely successful, as we were able to have constructive business meetings – as well as experience many facets of the German culture. We enjoyed delicious coffee, large pretzels, and the occasional white sausage and sauerkraut, and we all feel incredibly fortunate to have had this opportunity. The autobahn eventually resumed its usual flow of traffic, and we all returned safely home. We are now full of enthusiasm for our international relations, anticipation for the launch of EQUAL FLEXX, and the desire to find a location making cappuccinos like those we had in Germany. Keep up-to-date with the IMI team and all announcements on our Facebook page.